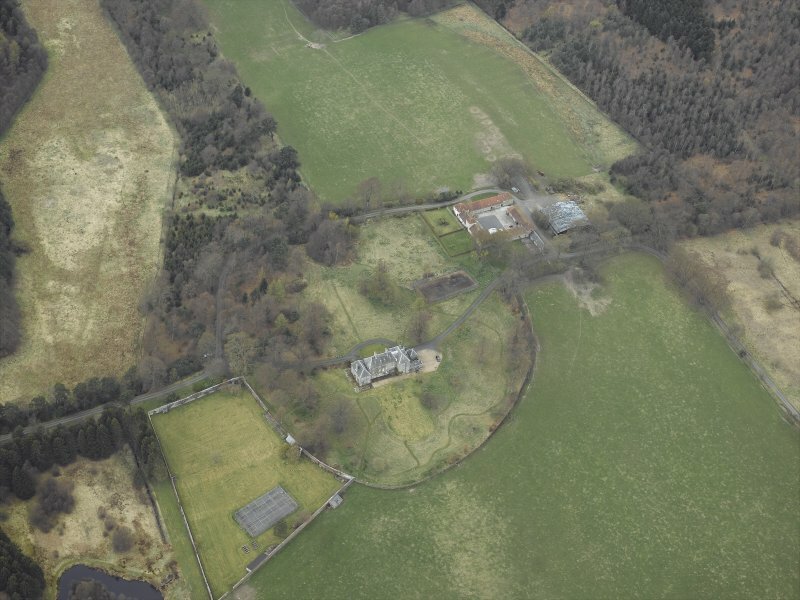 Oblique aerial view centred on the country house, walled garden, farmsteading, stables and dovecot, taken from the E.
Oblique aerial view centred on the country house, walled garden, farmsteading, stables and dovecot, with the farmstead and corn mill adjacent, taken from the W.
Oblique aerial view centred on the country house, walled garden, farmsteading, stables and dovecot, with the farmstead and corn mill adjacent, taken from the NW. 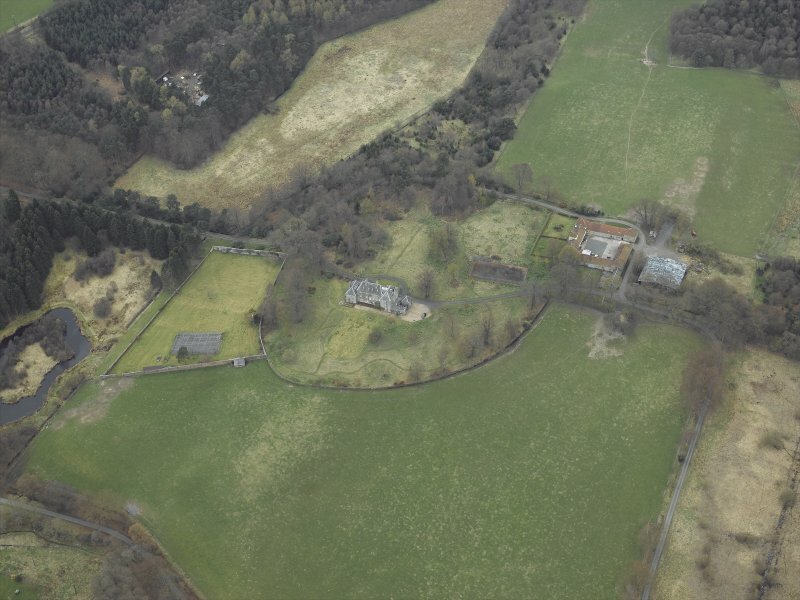 Oblique aerial view centred on the country house, walled garden, farmsteading, stables and dovecot, taken from the ESE. 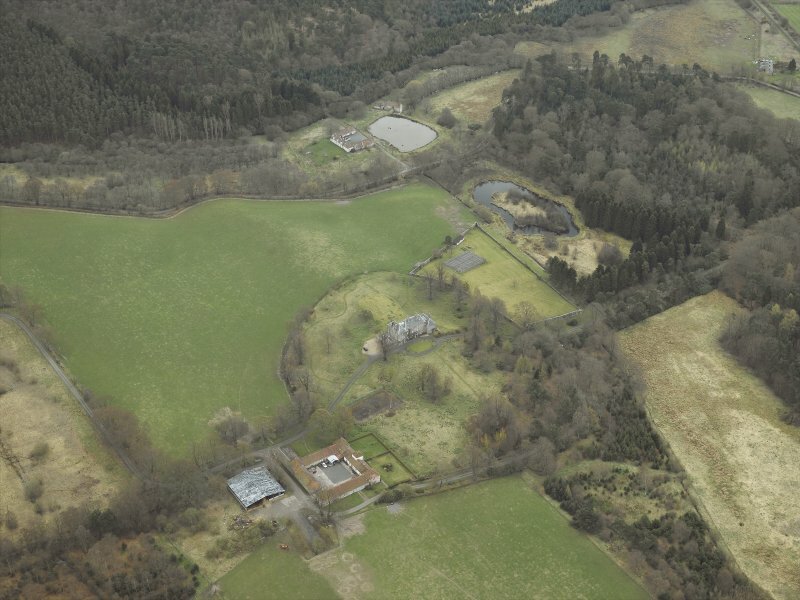 The formally planned square of farmbuildings at Brucefield Mains was built in the early 18th century, with a doocot tower as the main feature on the south show front. The east range originally contained cart sheds to which a range of kennels was added in the 19th century. When RCAHMS visited the site the doocot was seen to be retaining its original nest boxes. The armorial panel incorporated into the wall probably came from Hartshaw, which was rebuilt in the early 18th century as Brucefield House. 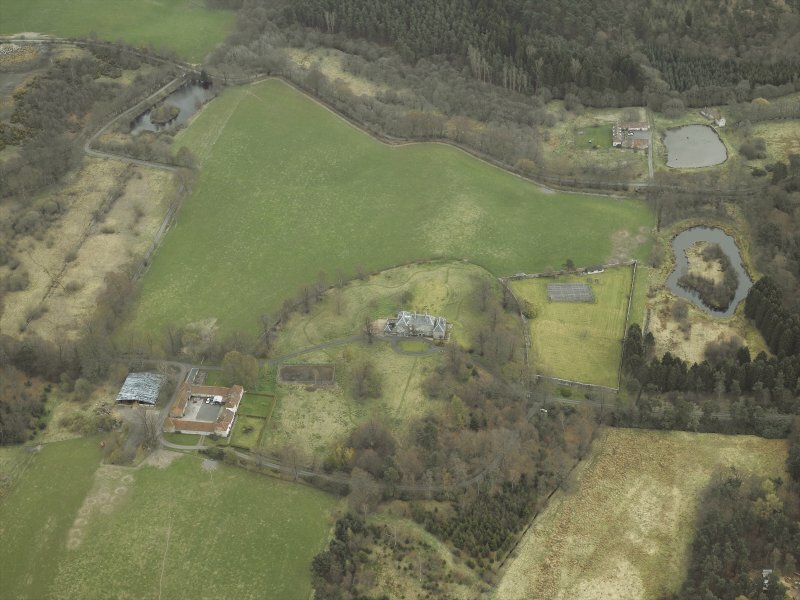 Brucefield Mains was recorded by the Threatened Buildings Survey on 31 March 2009 prior to its conversion into a house by Matthew Pease, Architect.